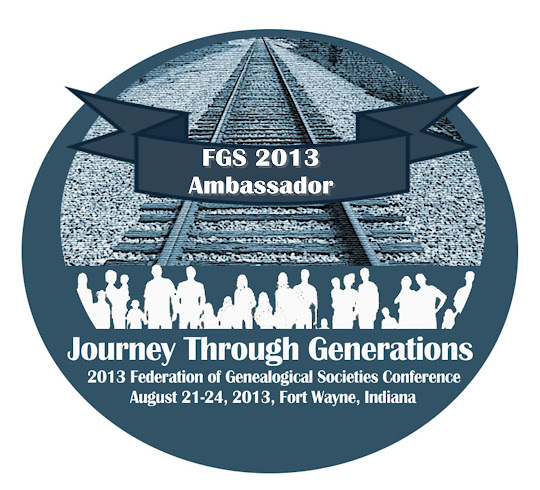 As genealogists and family historians, it is important for us to share our research and family stories. We tend to want to preserve our history and memories for our relatives and future generations, but we also hope to connect with others who share our common roots. There are so many ways we can share our information, and with advances in technology, more options become available all the time. In this post I’ll briefly discuss my three favorite ways for sharing your genealogy with others. Blogs are one of the hottest genealogy sharing tools. In most cases blogs are free to set up and run, they do not require much technical know-how, and the author can share as much and as often as they please. Some genealogy blogs are strictly news, how-to, or personal stories, or a combination of everything (my blog would be an example of the whole kit and caboodle). GeneaBloggers has some great resources for learning how to start and maintain a blog. Or you could create and post your own tree online with software such as The Next Generation of Genealogy Sitebuilding. Blogs, online family trees, and story and memory sharing sites are just the tip of the iceberg. There are plenty of other ways to share your family history including books, articles, videos, presentations, and scrapbooks. I just wanted to highlight some of my favorites. The most important thing is to figure out what your sharing objective is and how best you can accomplish it by using what’s available at your comfort level. What are your favorite ways to share your genealogy? Do you use a tool that I didn’t mention? I’d love to hear about it, so please leave a comment! Julie, with this one, you struck a chord that resonates! Totally agree! Just wanted to send a thank you for mentioning WikiTree!